beautybliz.com / Would You Drink Collagen for Younger Looking Skin? Would You Drink Collagen for Younger Looking Skin? We’re no strangers to beautifying foods. From healthy greens to antioxidant-rich dark chocolate, we love to munch on things that will keep us glowing and gorgeous for as long as possible. But this new supplement takes anti-aging to another level. Once you hit your late 20s, your thyroid hormone production slows down resulting in lower hyaluronic and estrogen levels that are known to cause sensitive skin and, unfortunately, more wrinkles. That’s why collagen and hyaluronic acid play such a huge role in our skincare regimens. 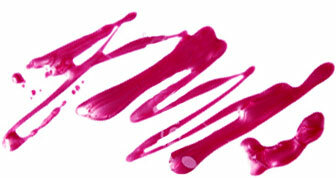 But what if you could do something more than just applying a luxe cream or serum on your skin? Reserveage Nutrition’s new Collagen Replenish supplement is a tasteless powder that can be mixed in with any beverage to prevent collagen reduction and free radical attack. Each scoop is packed with collagen peptides, hyaluronic acid and vitamin C. You’re literally drinking your skincare here. Although, clinical studies show that the supplement helps improve skin’s elasticity, we don’t think we’ll be tossing our serums out anytime soon. It seems to good to be true. Would you try it? 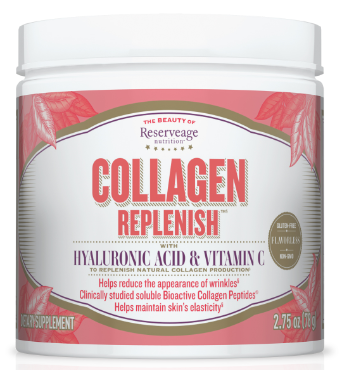 Reserveage Nutrition Collagen Replenish is available for $15.99 here.